From spring to fall, vegetable gardens undergo constant change. A big transformation takes place in midsummer when spring crops are ready to harvest, creating space for new plantings. But what should they be? What to plant after early potatoes? What to plant after peas? These questions may seem premature, but not if you want to make the most of the next big round of planting opportunities. Whether you call it succession cropping or relay planting, you often will get the best results (and waste no precious growing season time) by having sturdy seedlings ready to plug in as soon as spent crops are cleared away. For example, if you start seeds of leeks, squash, kale or Brussels sprouts in the next few weeks, you can immediately pop them into prepared ground when space becomes available. Of course you will want to rotate plant families in order to alter nutritional demands on the soil and avoid the buildup of soil-borne diseases. And there is another factor to consider when planning midsummer vegetable crop rotations. Bits of root left in the soil after growing onion family crops including garlic, shallots and all type of onions can inhibit the growth of some legumes, but may be beneficial to leafy greens and tomato family crops – a little something to keep in mind. What to Plant After Lettuce and other Leafy Greens? The first crops to lose quality and bolt are leafy greens like lettuce, mustard, spinach, and arugula. Rapidly lengthening days encourage the plants to elongate and bloom, which quickly earns them a place in the compost heap. For most gardeners, the best vegetables to plant after lettuce are bush beans, which germinate fast in warm soil and produce heavily in late summer. Other good veggies to plant after lettuce include carrots, cucumbers, squash or a second sowing of basil to carry you through the summer. And, if you have always dreamed of growing Brussels sprouts, the site of your spring salad garden may be the perfect place. What to Plant After Garlic or Onions? 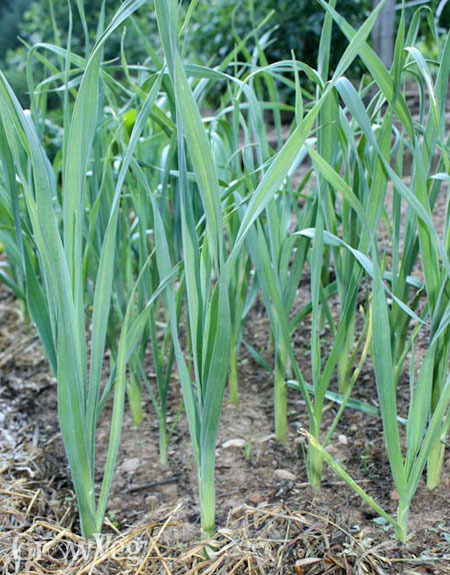 Like leafy greens, garlic and onions mature in response to lengthening days, with the garlic bulbs ready to lift and cure in midsummer, followed by onions a few weeks later. Even before that, I have space to replant after winter onions and fall-planted leeks have made their way to the kitchen. You have many options as you decide what to plant after garlic or onions, as long as you don’t choose an onion or a legume. In my climate, I can squeeze in a late crop of winter squash or fast-maturing pumpkins after garlic, but only if I have vigorous seedlings growing in containers, ready to plant as soon as the bed has been cultivated to incorporate a fresh helping of compost and balanced organic fertilizer. Rutabagas direct-seeded into a bed previously occupied by alliums works well in terms of time, too. In climates with long growing seasons, peppers and tomatoes also are good candidates for planting after garlic or onions. In cooler climates, Chinese cabbage or bok toy may be the perfect choice. What to Plant After Potatoes? Late-maturing potatoes stay in the ground all summer, but early new potatoes are often out of the garden by July. Potatoes take up a lot of soil nutrients, but because most gardeners mulch their potatoes, there is often a gain in soil organic matter. When nutrients are replenished with a balanced organic fertilizer, a potato plot often makes a great place to grow cabbage family crops for fall like cabbage, collards or kale. Leeks or scallions are excellent choices, too, though you will need to start seeds now in order to have the seedlings you need in midsummer. I often rotate my potato row into fall-planted garlic or onions, so rather than growing a food crop, I use the late summer shoulder season to grow a soil-building cover crop. One of my favorites (so far) is hulless oats interplanted with sunflowers – a lush and pretty combo for late summer into fall. Buckwheat makes a great late-season cover crop, too. What to Plant after Peas? Spring-sown peas stay productive all summer in cool climates, but in most areas they are done-for by the time summer gets into full swing. The most popular vegetable to plant after peas is cucumbers, which often can be trained up the same trellis used by the peas. Indeed, members of the squash family quickly make themselves at home in pea soil, and the same is true of root crops like carrots and parsnips. In areas where there is only a short snip of growing season left when the peas come out, leafy greens like lettuce and spinach make ideal replacements. The best plans for midsummer vegetable crop rotations will vary from climate to climate and garden to garden. 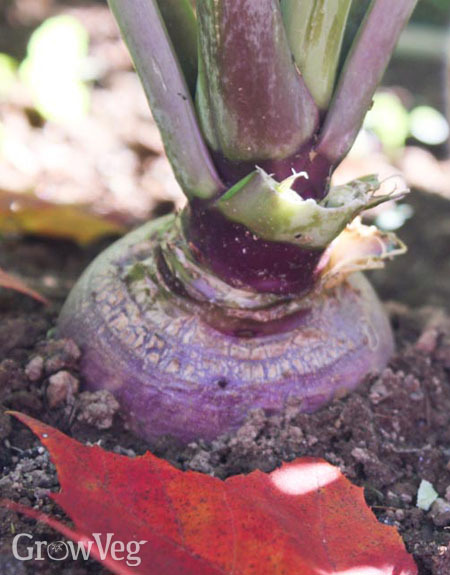 In addition to the relay planting ideas and techniques here, you can experiment with many other veggies that grow best in fall, like bulb fennel or broccoli. Just when you thought you were through starting seedlings, it’s time to start more. But if you want to keep you garden productive all season long, you have to keep planting. "Thanks for these ideas! I have a couple of questions, based upon our current plan, which we developed to organize our crop rotations more carefully. We had planned to replant our garlic area with parsnips and perhaps carrots, and our pea area with pole beans. Would this work?? " "Yes, it will. Some details do niggle -- root crop to root crop -- but with good cultivation it might work well. You will want to rake out the larger garlic roots and compost them before planting the parsnips and carrots. Many people follow peas with pole beans, creating a full season of legumes. The two species utilize different n-fixing bacteria, so providing the beans with a little starter fertilizer will help them find their feet quickly. " "Hi, Could you help with the following questions please: Can garlic area be replanted with cabbages (Golden Care Primo II) and can broad bean area be replanted with leeks? Weather is quite good here at the moment - is there still time to sow leeks in a seed bed?" "I think the answers to all of your questions are yes! Be sure to fertilize the soil before setting out the cabbages, and rake out any excess garlic roots. Many crops are good after broad beans, including carrots, rutabagas or leeks. As long as the soil stays constantly moist, leeks should germinate quickly in a seed bed or containers, with plenty of time to mature before winter." "I have not utilised my garden as I should have in the past (Learner Veggie Gardener. Once a crop has grown, the plot has been generally left until the next year but I want to keep as much of it in use for as long as I can from now on to keep those veggies growing. Thanks for the extremely useful information Barbara - its really helpful to me. :)"
"I have been thinking about growing some sort of hay-like cover crop in my yard that I can use as weed control/mulch in my vegetable garden. I have a small plot 20'x20' and I need the mulch by mid-June. Do you have any ideas what kind of grass crop I should grow and how big a plot I would need (I can convert some of my back lawn)"
"Mark, to have the mulch by mid-June you will be best off using winter grains like wheat or rye, seeded in the fall. You can cut it with a scythe in late spring, before the seeds ripen, and let it dry into mulch. In summer there are many other choices like seed-sterile sudex or oats, which can be cut twice and winterkill at around 15 degrees." "Thanx for great info..I have a situation this year unlike any before. We had our garden completely ready (fenced, fertilized, turned up twice) ready to go, then because of a unexpected hospital stay and subsequent recovery I was not able to plant at the normal time. My question is can I still plant now (july 2nd week) regular vegetables such as tomatoes, peppers, onions, potatoes, corn e.c.t. I did read about the late planting info for beans and lettuce. Also I live in south central pennsylvania, and the past few years it haz stayed quite warm until late in the year. I waz also wondering about sunflowers and I usually plant a large area with a wildflower and cutflower garden. Do you think its worth a shot to go ahead and plant as usual? Any advice is greatly appreciated! " "Tish, our climates are similar, and it is too late for warm-season crops except fast-maturing bush beans. My planting list for the next two weeks includes kale, collards, rutabagas, leeks, bulb fennel, carrots and kolhrabi, with lots of leafy greens on the planting list for August. You can still grow a lot of delicious food by maximizing the fall season. Good luck!" "Hi! Just wondering. I just harvested lettuce after last winter. The soil still contains a network of small roots. Is that an issue? Should i do something about this before i plant the next plants? Any tips? Thanks!" "Tom, the tiny roots from lettuce and other cool-season plants will rot very quickly and make a small contribution to your soil's organic matter content. There is no need to wait for them to disappear completely. However, if you think the roots are from nearby trees, it would be a good idea to rake them out before you replant. " "Thanks for all your good info. I have large raised beds 20 ins deep. 4ft x 10ft, what can I plant after lasts years potato crop,tomato crop and wax beans? (2 beds each. )Most grateful for any info. We eat a lot of the above crops.,with very little else. Thank you. " "Iceni, because all of your favorite crops are related, you might start using a grain/grass winter cover crop as a restorative rotation. Gardens love greens, so perhaps finding a type you like will help diversify a bit -- try chard, kale, or lettuce. " "Thanks again for your answer.Do I understand that if I sow a cover crop over winter in my beds,then I can grow the same crop in the beds again? Or maybe rotate the similar crop? Our winters can dip to -40C and we have a short growing season. Couldn't possibly plant 3 big beds with, lettuce, cabbage etc. It would just go to waste.Sorry to be so obtuse. :) "
"Ah, I did not know you are in a short-season climate. In that case I would maximize compost additions between plantings, mostly to mix up the fungi in the soil. You might also use quickie cover crops of mustard in the fall, after the tomatoes come out of the ground. It grows fast and has a restorative effect on soil when chopped and turned under. " "Thank you Barbara, your answers are a great help. I have just found this site and I love it. All the best to all the gardeners. :)"
"This is a great idea. Wish there was an app, also a way to upload pics. I'm new to gardening and plan to participate in the Hunt, but i dont know what these pest are. That would help me and the project." "Shavon, you can learn a lot by just watching your garden plants. Keep in mind that most pests are plant-specific, in that they can digest the tissues or sap of only certain species. If you know what plant is being damaged and how (leaves being eaten, for example), you can use the Bug Hunt guides to id most garden pests. " "I am in Hilton Head, South Carolina. I planted Amelia 300 and Big Boy tomatoes next to kale plants. They were growing so well, I hated to pull them out. Later I learned they are not compatible, then I removed them, but may have left some roots behind. These tomatoes developed wilt and I eventually had to pull them out. Could I have caused this condition with leaving the kale next to the tomatoes? And what can I do to the soil to kill or fix any virus left behind?" "Joan, companion planting information is often misleading. When plants are growing together fine, leaving them alone is always good. That said, in your climate the kale would have gone downhill quickly in summer's heat, so its future was not bright. The tomato problems have nothing to do with the kale, unless the tomato roots were badly injured when you took out the kale, which could have invited root rot diseases. Because Amelia is resistant to so many diseases, I do wonder if the roots were injured in some way. Viruses are transmitted by aphids and thrips, and the viruses require live plant tissues to survive. In fall, cleaning up and composting all tomato family crops stops the cycle until insect vectors bring it back the next season. " "Hello Barbara, thanks for another great post. I'm just a little confused - how does crop rotation work if you plant, for example, cabbage after your beans in the same year. But what happens the next year? And the year thereafter? Because you have to leave at least 3 years between, say, the cabbages. " "Good question, Veronica. Rotation "rules" are based on a crop's nutrient demands and the nature of the dead plant material left behind in the soil. You can replace nutrients, but cabbage hosts cabbage diseases, beans host bean diseases, etc., and these problems are better prevented than cured. Interrupting the buildup of disease-causing microbes can usually be accomplished by rotating to unrelated crops three times, regardless of calendar dates. Hope this helps." "i am lifting some of my new potatoes at weekend. can i put sprout plants in the same bed. " "Phillip, you can plant cabbage family crops after potatoes, but be sure to enrich the soil between plantings. Brussels sprouts are heavy feeders. Good luck!" "This is a tremendously helpful article to me because it focuses on crop rotation from early spring crop and gives several choices. I have been doing the crop rotation faithfully but it always seems to feel like I am playing a game of checkers on paper and it takes a long time. This information is clear. Thanks and Happy Vegetables to all." "Hope you can help. Can I plant winter onions after main crop potatoes I live in the Midlands area UK. I have onion fertiliser but not sure when to use it with success. " "Gayle, that rotation should work, but I would wait until spring to push new growth of your onions with fertilizer. When the onions show vigorous new growth in March would be a good time." "Thank you Barbara I will definitely plant them this weekend. "